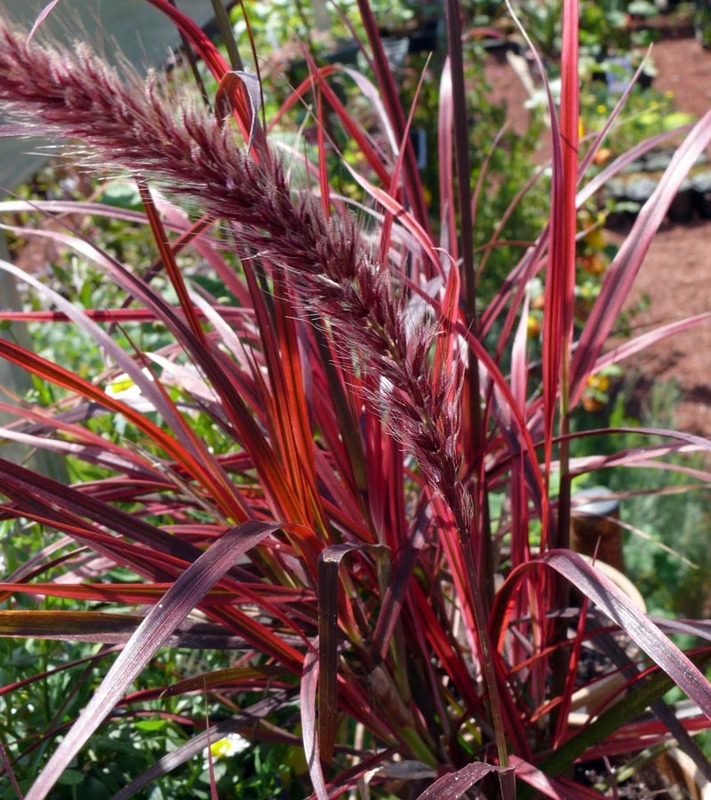 A clumping semi-evergreen grass w/dazzling red foliage and white, green and pink stripes throughout the growing season. Looks best cut back in late winter to expose new foliage. Drought and heat resistant.